ACGC has developed youth workshops, made available free for download. Click to browse the various workshops. Please contact projects@acgc.ca to if you are interested in ACGC conducting one of these workshops in your classroom, conference, or club meeting. View and download the workshops. Develop the competency of Global and Cultural Citizenship in your students across various subject areas. ACGC has developed these lessons to accompany stories found in Together: Alberta’s Notebook for the Global Goals. These lessons are curriculum aligned, and lesson handouts and power point presentations are provided to make it easy to use in your classroom. 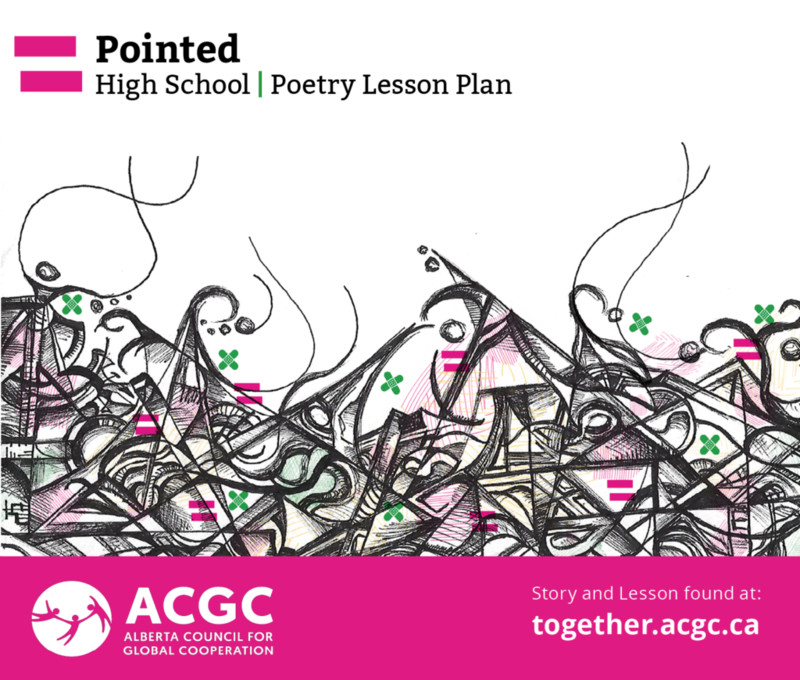 In this lesson, students will read and analyse the poem “Pointed” by Edmonton-based poet and scientist, Nermeen Youssef. 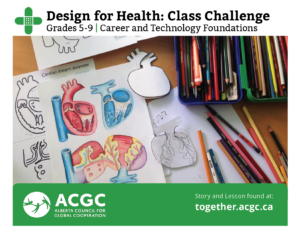 Students will extend their learning through creating their own piece exploring inequities they see or face in health care services locally and globally. In this lesson, students will explore how dialogue can be used to tell a story, and apply the technique when writing their own original text. Through using a story about healthcare in a fictional Kenyan setting, students will also gain an understanding of life in developing countries, and the work that Alberta organizations do to assist those in need. 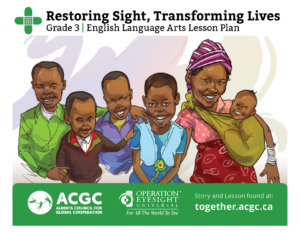 The lesson is based on the story, ‘Restoring Sight, Transforming Lives’, by Operation Eyesight, illustrated by Alex Kwizera. In this art encounter, students will explore the impact of art on community well-being. By analysing and comparing Mattias Grünewald’s Isenheim Altarpiece, and the Keiskamma Altarpiece, students will gain an understanding of how art can uplift and empower communities in need. 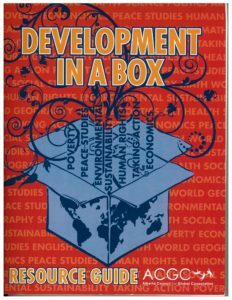 Check our our Sustainable Development Goals page for links to classroom resources and information! 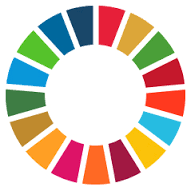 Additionally, you can download ACGC’s SDG workshop ‘Where will be be in 2030” to use in your class or youth club. Be sure to also check out TOGETHER: Alberta’s Notebook on the Global Goals, a storytelling initiative highlighting work Albertans are doing to achieve the global goals! vailable as a digital download. Member Resources: Students at the University of Alberta, through the Community Service Learning program, completed a list of educator resources available from ACGC member organizations in January 2017! 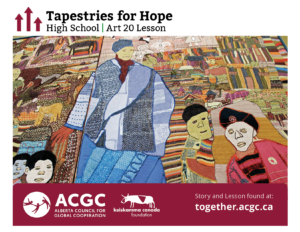 Download the current copy of the list of ACGC member resources! Book List: Download this list of picture books to help educate for Global Citizenship! ACGC frequently offers professional development opportunities in global citizenship education. Sign up for ACGC Teach and follow us on Twitter and Facebook to receive updates. Learn more about these opportunities.